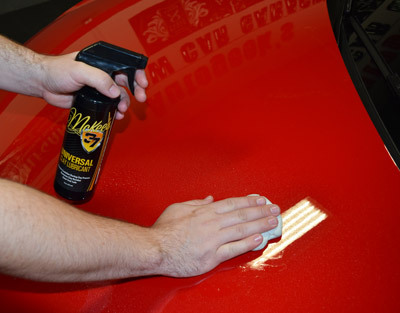 McKee's 37 Universal Clay Lubricant protects the paint while detailing clay removes embedded contaminants. Worked great. Made claying easy. I have used other clay lubricants before and this one makes claying fast and easy. This is a decent clay lube, provides decent lubrication for your clay. However, it looks like pee and has a really funky odor to it, thus my reason for not liking it. Go with Meguiar's Last Touch instead - you can get a gallon for around $18 or so, and if you dilute it 1:1 for claying (which is recommended), you will have 2 gallons of clay lube for the same price as the DP.